Just started using this (awesome) emulator and had a couple of questions regarding my setup. So I've played a few games now, most run fine, but Mario Kart and SSBM both run a little slowly, with SSBM getting quite bad if I more than 1 player. I was wondering if it was to do with the fact that no matter what I do, I can't seem to get Dolphin to use my GeForce GT630M. I can't even select it in the setup of Dolphin, it just shows the Intel GPU. I have configured the nVidia Control Panel to make Dolphin use the video card but the icon in the tray says it doesn't use it. It also crashes every time I try to load an ISO when I try this way. I have tried different versions of Dolphin and nVidia drivers. Whats the speed on your processor? I know that I had multiplayer lag in Mario Kart Wii before I overclocked my processor and I was at 3.3. The same goes for SSBM, once I overclocked, essentially all the lag went away. I do not know if you need to get it as high as mine, but if you have a low clock speed (under 3GHz) then you may just have to cope with it unless you can overclock. It's running at 2.5 GHz, but I haven't overclocked it yet. I'm getting more concerned about that fact I cannot seem to make it my video card and it crashes when I try and make it do so. Quote: It's running at 2.5 GHz, but I haven't overclocked it yet. Okay so I followed through those posts, thanks by the way, and my CPU is running with Turbo Boost, so that's fine. However, I also ran GPU-Z, I posted the results below, but there's no load on the GPU even when I run Dolphin on high specs and Mario Kart is running slowly. I saw one of your solutions was to reinstall Windows. Is there any other solution or do I have an afternoon of fun ahead of me? In the Nvidia driver settings, set Dolphin to a high-performance profile or whatever it is. If there's no option, just increase the graphical settings (Internal Resolution, AA/AF, texture cache accuracy) in Dolphin until GPU-Z starts reporting a non-zero load on the dedicated GPU. (05-23-2013, 05:56 AM)pauldacheez Wrote: In the Nvidia driver settings, set Dolphin to a high-performance profile or whatever it is. If there's no option, just increase the graphical settings (Internal Resolution, AA/AF, texture cache accuracy) in Dolphin until GPU-Z starts reporting a non-zero load on the dedicated GPU. I tried that, still have a 0% load on the GPU. have you checked to see if the nvidia control panel is letting dolphin use that gpu. 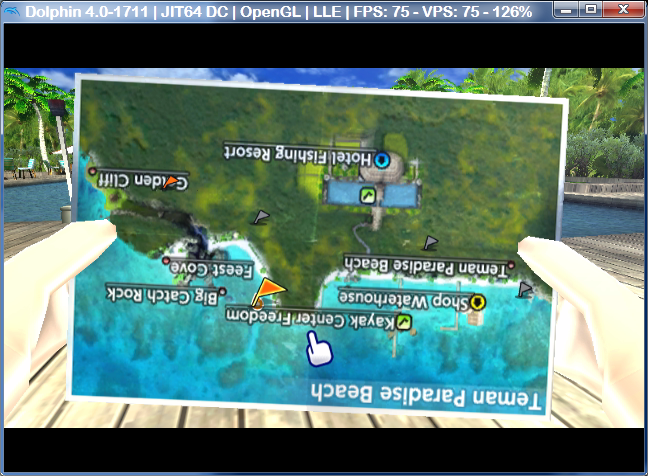 I have tried making dolphin use the gpu through the control panel, but as for letting it, I'm not sure. Is there any way to check? you can try disableing the intel gpu to force your whole system to use the nvidia gpu but now that i think about it.I do not think that is actually a problem because my system shows zero gpu load but shows there is memory usage while using dolphin-emu in gpu-z. does yours show memory usage.